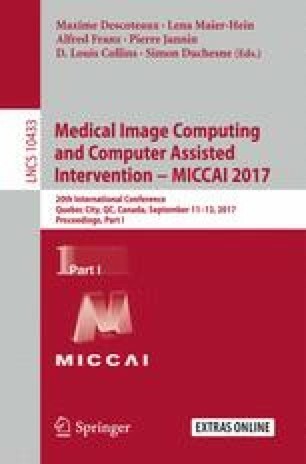 Robust image registration in medical imaging is essential for comparison or fusion of images, acquired from various perspectives, modalities or at different times. Typically, an objective function needs to be minimized assuming specific a priori deformation models and predefined or learned similarity measures. However, these approaches have difficulties to cope with large deformations or a large variability in appearance. Using modern deep learning (DL) methods with automated feature design, these limitations could be resolved by learning the intrinsic mapping solely from experience. We investigate in this paper how DL could help organ-specific (ROI-specific) deformable registration, to solve motion compensation or atlas-based segmentation problems for instance in prostate diagnosis. An artificial agent is trained to solve the task of non-rigid registration by exploring the parametric space of a statistical deformation model built from training data. Since it is difficult to extract trustworthy ground-truth deformation fields, we present a training scheme with a large number of synthetically deformed image pairs requiring only a small number of real inter-subject pairs. Our approach was tested on inter-subject registration of prostate MR data and reached a median DICE score of .88 in 2-D and .76 in 3-D, therefore showing improved results compared to state-of-the-art registration algorithms.